Annabelle Comes Home DVD and Blu-ray release date not announced. 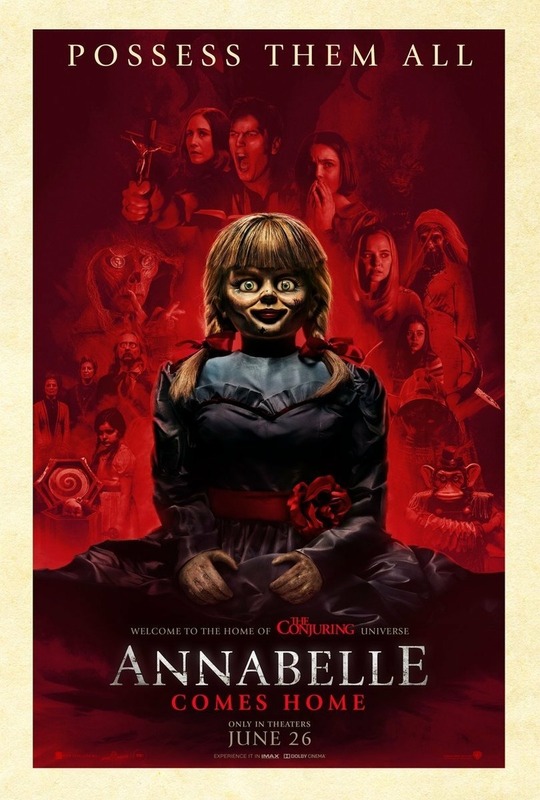 Determined to keep Annabelle from wreaking more havoc, demonologists Ed and Lorraine Warren bring the possessed doll to the locked artifacts room in their home, placing her 'safely' behind sacred glass and enlisting a priest's holy blessing. But an unholy night of horror awaits as Annabelle awakens the evil spirits in the room, who all set their sights on a new target�the Warrens' ten-year-old daughter, Judy, and her friends. DVDs Release Dates is the best source to find out when does Annabelle Comes Home come out on DVD and Blu-ray. Dates do change so check back often as the release approaches.